The Nevada Legislature passed and the governor signed into law, higher business taxes and filing fees. Some of the changes have been disclosed. Others, as of yet, have not. We do know that the Nevada State Business License fee and filing fees have increased. For profit corporations will have annual Business License fee of $200 increased to $500. This applies to private corporations, close corporations, public benefit corporations and foreign corporations. Fortunately, this increase does not apply to limited liability companies or limited partnerships and the Business License fee will remain at $200.00. Additionally, for all entities, the initial and annual list of officers, managers or partners annual filing fee increases by $25. As such, corporations face an initial & annual fee increase of $325 (for an option to these fees see the last paragraph of this notice) whereas the initial & annual fees for LLCs and LPs are increased by just $25. The Commerce Tax (gross receipts tax) is a bit murkier. 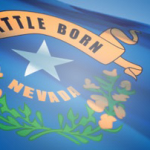 The Nevada Department of Taxation revealed that their division had not yet received the new language of the bill. The affable and candid department declared that since the new taxes go into effect on July 1, 2015 they should have the information by then. tax will also apply on revenue that out of state companies generate within Nevada. Supposedly, businesses earning less than $4 million a year will be exempt from this tax on gross receipts. A tax department representative said that such an exemption may not survive. Did I say this was murky? The Nevada payroll tax, which was due to expire in June of 2015, was extended and made permanent. For most companies a tax of 1.475% will be assessed against employee payroll payments. For mining and financial institutions the rate is 2%. Businesses will be able to credit 50% of their commerce tax against the payroll tax. With 27 different gross receipts to monitor, new taxes on out of state company transactions and payroll tax collections subject to gross receipt reductions, it is clear that the Nevada Department of Taxation is going to have to staff up. The big picture: The expansion of the state workforce, with more salaries and pension obligations, may be the most significant negative consequence. On an entity level, many corporations may want to transfer out of Nevada to avoid the +$650 annual fees. For those wanting out you can “Continue” your Nevada Corporation into Wyoming. (Others, knowing Nevada is the only state with charging order protection for corporate shares, may want to stay put. CONTACT US TODAY FOR YOUR FREE RISK ASSESSMENT to see if continuation is an option for your entity.) You keep the same incorporation date, same EIN and same business credit when you continue into Wyoming. Your Nevada Corporation formed in 1995 becomes a Wyoming corporation formed in 1995. The total cost of continuance (both legal and state filing fees) is $895. Then your annual fees drop to just $250 a year. This may be more to your liking than the +$650 Nevada fees. Not intended to be legal advice, for discussion purposes only.